We pretty much take for granted how quick getting in touch with friends and family is at this day and time. Years ago, it was much more difficult. 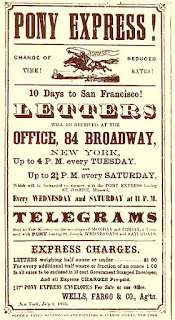 In order to connect with our West Coast, communication would be bundled in canvas bags, then stowed in the holds of boats in the cities of Boston, New York, and Baltimore for a six-month sea voyage down the east coast to Havana, then onward to the Straits of Magellan, rounding the point before sailing up to San Francisco. The discovery of gold changed the long slow process. Men became wealthy overnight. With wealth, there was a need to keep in touch with this new found state and it's growing population. In 1850, three men came up with a fantastic idea. 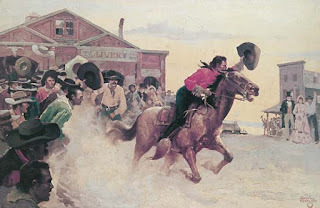 William Russell, Alexander Majors, and William Waddell, reasoned that moving mail via short differences, with riders instead of stagecoaches, would cut down time. Instead of months, overland routes, allowed the task to be completed in 10 days. 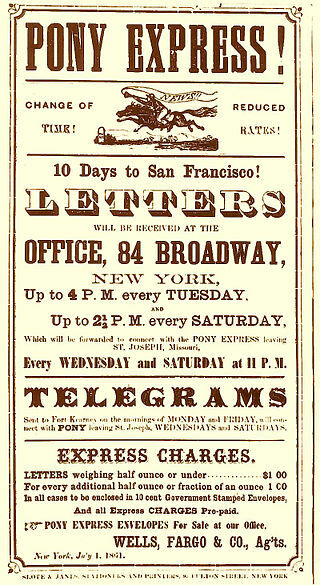 They called their enterprise - the Pony Express. The route would lead from St. Joseph, Missouri to Sacramento, California. 184 stations all located 10miles apart. The three developed the idea. By 1860, 184 stations, 120 riders, 400 horses, and several hundred personnel, gathered to watch the inaugural run. Ten days to get your letter to California at the cost of $5.00 per half ounce. The express lasted only 19 months, but they still fuel the imagination. On April 20th, fellow author Reina Torres and I will be releasing a sweet, historical western romance based on the pony express. Look for Always, Ransom on April 20th followed by my story, Always, Clay the 20th of June. While working on my WIP, set in 1878, I wondered if my character could do jigsaw puzzles, so I googled the history of jigsaw puzzles and was surprised by what I found. I thought others might find it as interesting as I did. Anand cartographer, John Spilsbury, of London, is believed to have produced the first jigsaw puzzle around 1760, using a marquetry saw. 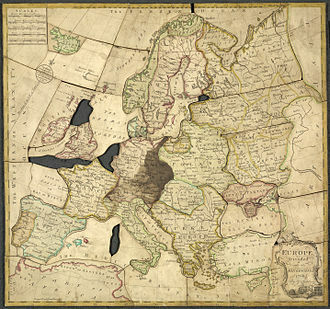 Early jigsaws, known as dissections, were produced by mounting maps on sheets of hardwood and cutting along national boundaries, creating a puzzle useful for the teaching of geography. Such "dissected maps", were used to teach the children of King George III and Queen Charlotte by royal governess Lady Charlotte Finch. 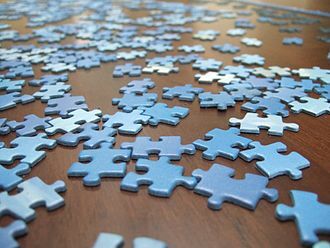 According to the Alzheimer Society of Canada, doing jigsaw puzzles is one of many activities that can help keep the brain active and may contribute to reducing the risk of developing Alzheimer's disease. Most modern jigsaw puzzles are made out of cardboard since they are easier and cheaper to mass-produce than the original wooden models. An enlarged photograph or printed reproduction of a painting or other two-dimensional artwork is glued onto the cardboard before cutting. This board is then fed into a press. The press forces a set of hardened steel blades of the desired shape through the board until it is fully cut. This procedure is similar to making shaped cookies with a cookie cutter. The forces involved, however, are tremendously greater and a typical 1000-piece puzzle requires a press that can generate upwards of 700 tons of force to push the knives of the puzzle die through the board. A puzzle die is a flat board, often made from plywood, which has slots cut or burned in the same shape as the knives that are used. These knives are set into the slots and covered in a compressible material, typically foam rubber, which serves to eject the cut puzzle pieces. Beginning in the 1930s, jigsaw puzzles were cut using large hydraulic presses which now cost in the hundreds of thousands of dollars. The cuts gave a very snug fit, but the cost limited jigsaw puzzle manufacture only to large corporations. Recent roller press design achieves the same effect, at a lower cost..By the early 1960s, Tower Press was the world's largest maker of jigsaw puzzles, acquired by in 1969. New technology has enabled laser-cutting of wooden or acrylic jigsaw puzzles. The advantage of cutting with a laser is that the puzzle can be custom cut into any size, any shape, with any size (or any number) of pieces. Many museums have laser cut acrylic puzzles made of some of their more important pieces of art so that children visiting the museum can see the original piece and then assemble a jigsaw puzzle of the image that is also in the same shape as the piece of art. Acrylic is used because the pieces are very durable, waterproof, and can withstand continued use without the image fading, or the pieces wearing out, or becoming frayed. Also, because the print and cut patterns are computer based, lost pieces can be manufactured without remaking the entire puzzle. Last year I had the opportunity to drive through Fort Smith, Arkansas. Perhaps “fly through” would be a better description, for I didn’t have enough time to actually explore the historical sites. However, I was able to convince my husband to slow down and cruise through the parking lot next to the old fort for a few pictures. 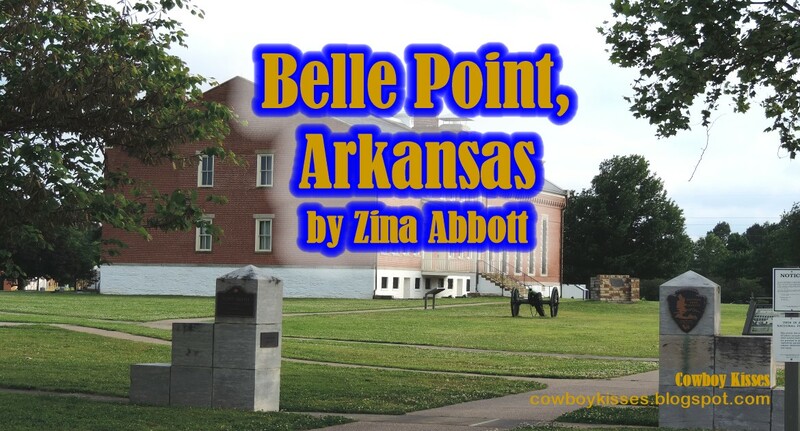 Fort Smith is located at a place originally known as Belle Point. It became a possession of the United States at the time of the Louisiana Purchase in 1803. 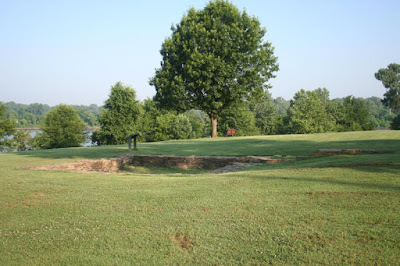 When soldiers and traders pushed into the vast wilderness of the West in the early 1800's, they discovered a beautiful spot at the junction of the Arkansas and Poteau Rivers. The French explorers and traders, at a time when French territory extended west from the Mississippi from the Gulf of Mexico to the Canadian border, called this slate projection and its surrounding area Belle Point. It was a trading spot for the French with the native Caddo and Wichita people until Thomas Jefferson purchased the Louisiana Territory in 1803. The city began as a western frontier military post in 1817 and would later become well known for its role in the settling of the wild West and its law enforcement heritage. Soon after, the Pike Expedition (1806) explored the Arkansas River. Fort Smith was founded in 1817 as a military post. A stockade was built and occupied, from 1817 until 1822, by a small troop of regulars commanded by Major William Bradford. Around the fort a small settlement began forming, but the Army abandoned the first Fort Smith in 1824 and moved 80 miles further west to Fort Gibson. Army sutler and land speculator John Rogers bought up former government-owned lands and promoted growth of the new civilian town of Fort Smith, eventually influencing the federal government to re-establish a military presence at Fort Smith during the era of Indian Removal and the Mexican War. In 1819 naturalist Thomas Nuttall visited the site of the new American fort being built there. 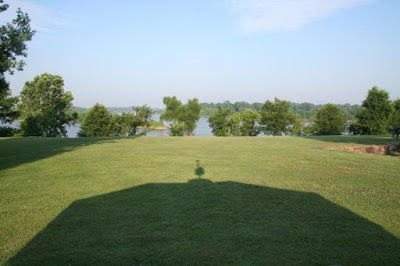 He said the view from the point was, "... more commanding and picturesque, than any other spot of equal elevation on the banks of the Arkansas." 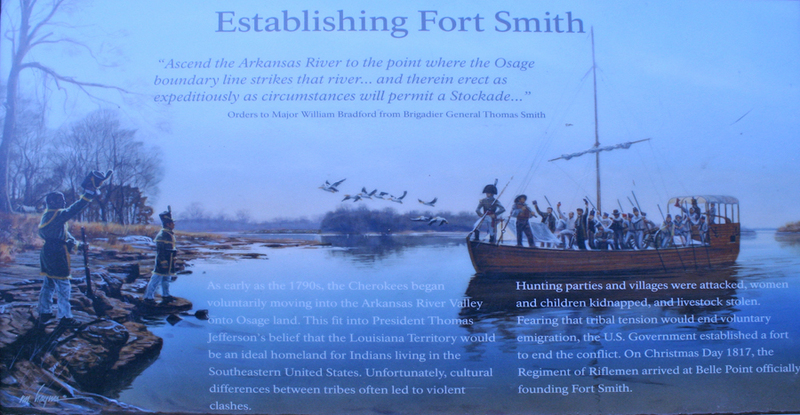 In 1817 the first Fort Smith was built at Belle Point at the junction of the Poteau and Arkansas Rivers by Major William Bradford, for mutual protection of the pioneers and Indians. He was in command until 1822. It was named in honor of Bridadier General Thomas A. Smith. The water level is much higher today because of the lock and dam system put on the Arkansas in the 1960's and 70's to make it a navigable waterway. Originally, the bluff at the left would have been about twenty feet above the river. Please visit the Zina Abbott’s Amazon Author Page by clicking HERE. Western Wives. The More Things Change...? “What are some of your favorite dishes to cook, Miss Swank?” Miss Stella rose and began clearing the breakfast dishes. Ellie immediately jumped in to help. There weren’t many. Mr. Hoyt had not joined them. Not that she had assumed he would, of course. This is the kind of conversation that would have Hillary Clinton turning purple and passing out. Women can do more than cook. We can be doctors, lawyers, astronauts, CEOs, anything we put our minds to. But what is also a fact is that a hundred years ago, the world was a different place. Roles were different. The expectations of a woman, both of herself and from society around her, were different. In my current work-in-progess, tentatively titled Mail Order Bride: Undercover, I explore the delicate dance between a woman’s ambition and her submission to love. Ellie Blair wants to be the reporter who will never be confused again with Nellie Bly. She wants success, fame, and respect from her male peers, and will do almost anything to get it. But at what cost? Can she have fame and fortune and love, too? Most of us know that a century and more ago, women faced unique challenges to chasing their dreams. The culture didn’t exactly encourage independent ladies to push past the bounds of propriety. But narrow-minded expectations didn’t stop them as often as you might think. As we all know, prior to modern times, women became doctors, lawyers, spies, politicians (https://ladiesindefiance.com/2014/10/13/the-first-woman-mayor-ever-elected-in-america-was-no-joke/ ) even law enforcement officers (https://ladiesindefiance.com/2015/03/02/the-first-female-sheriff-in-the-usa-was-in-texas-and-from-texas-of-course/ ). You name it, they did it. However, in most cases, they also did the child-rearing and the cooking. Few whined about the inequalities. Instead, they shouldered them. Then, as now, there was a vocal minority that decried chauvinism. Most women, however, dug in their heels, squared their shoulders, looked life right in the eye, and pursued their careers, babies on their hips, spoons in the sauce. I think the primary difference between women of earlier centuries and today is that our ancestors didn’t expect anyone to lighten their load. Today we expect our husbands to help (whether it happens or not is a different story). 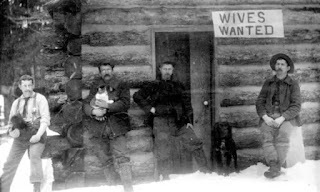 Back then, I would argue the ladies truly had no expectation of assistance. If they ran a business, they ran the house. If they wore a badge, they darned their kids’ breeches. If they studied to become lawyers, they still helped the children with their homework. A vicious cycle, but these gals persevered and paved the way for us. I, for one, sure appreciate their struggles. Here’s to the Ladies in Defiance who find their own way. Never give in. Never back down. Never lose faith. I'd love to hear your thoughts on where women have gone, vs. where we were. Do you think things have changed much? My latest Letters of Fate book is off to my first reader or the new term "sensitivity reader". This is the new term being used in writers circles for readers who are the first reader when a writer finishes a book. These readers know more about a character's culture than the writer and they read to make sure the writer has depicted the character or characters properly. I have used what I call an expert reader, on several of my books. I tend to find something that fascinates me and decide to dive into the story even though I may not know be of that character or characters heritage or religion. When this happens I always make sure I have someone I can call on to help me out and to be the first reader when I finish a project. This time my hunt for a small, nearly unknown Indian school that I could make things up as I went turned out to be a much bigger project. After writing a third of the book, I discovered from my back and forth emails with a specialist on Mormon history, that there was indeed more information out there than I'd found so far. I had to go back and revise and cut and change the plot of the story. But the change not only added for the history to the story, it also upped the chemistry in my hero and heroine. Which delighted me. I like a little spice in my stories and the way the book had started it was too sweet to push them into the scenes I'd envisioned when first brewing up this story. 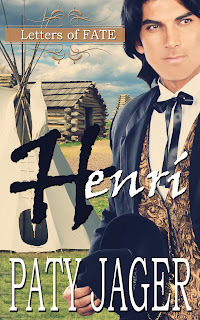 Henrí: Letters of Fate, started out being about an Indian school. Henrí Baudin is a half Shoshoni-half French hero. 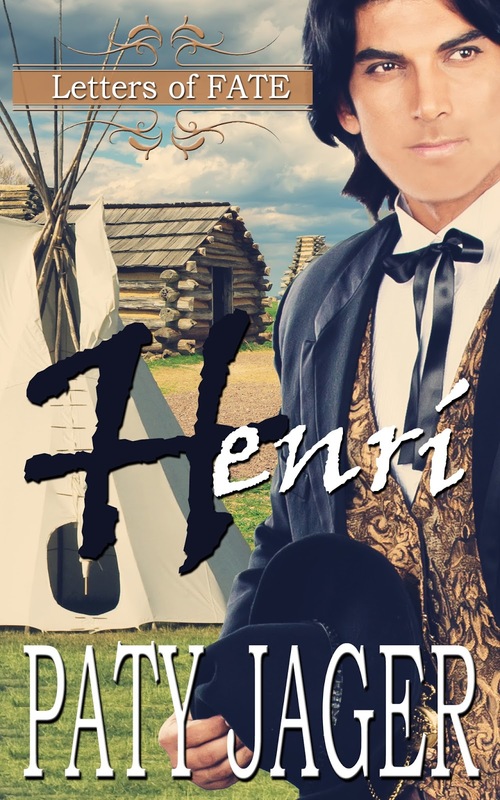 He receives a letter to bring him to the Salmon River Valley in the Oregon Territory in 1858 to help his Shoshoni band. The first version he was asked to come because the teachers were being mean to the Shoshoni students. But upon further research, I realized the school wasn't as I'd first thought. In fact, the Shoshoni children attended the school in the stockade the mission built sporadically. But I'd learned the concessions that were made for the Mormons or LDS church members to build a mission in the valley. These concessions were not help up on their side and they befriended other tribes who were the enemy of the Shoshoni. Using these factual instances in my book, it added more conflict and drama, and heightened the overall emotional feel of the book. That allowed me to bring the steamier chemistry to the hero and heroine. Back to my "sensitivity reader". I know very little about the LDS religion, but I know how to find people who do. My expert has been exactly what I needed. She not only knows the religion but a lot about the history too. I didn't want to portray the characters in a way that was degrading but as with all cultures and religions there are always a few bad nuts in the bunch. And my westerns always have my hero fighting some kind of wrong. Justice is the theme of my westerns. Henrí: Letters of Fate will be released in April. Do you appreciate when the author goes the extra mile to make sure a culture or religion is portrayed correctly? Or do you just read a book to take you away from everyday life and don't particularly care if the depiction of the characters is accurate? 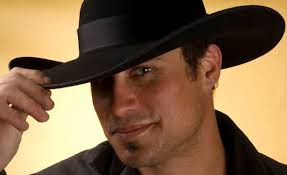 Come Love a Cowboy! Please do!